It is great when patients make a change in their oral health habits, like changing their tooth-brushing habits or introducing flossing, and seeing the improvements at each visit,” he says. Kiran was born in India and brought up in New Zealand. He’s fluent in English, Hindi, Marathi and understands various other Indian languages. 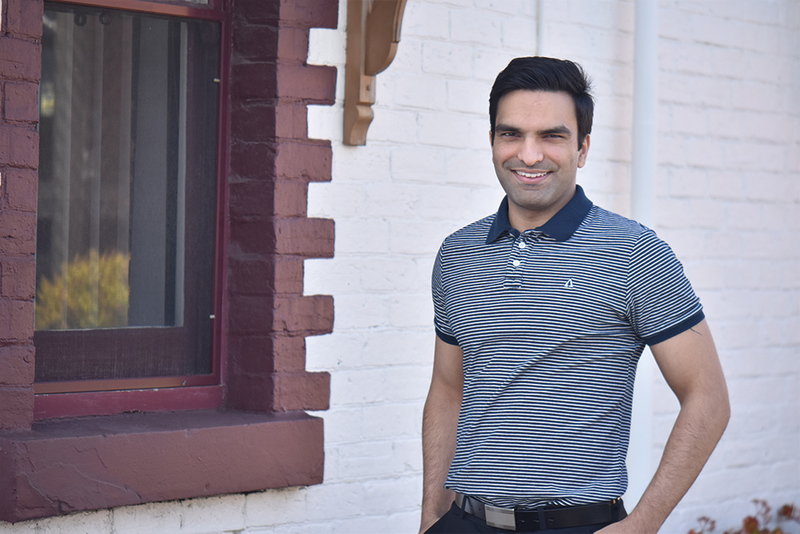 He graduated with a Bachelor of Dental Technology and also a Bachelor of Oral Health from the University of Otago, New Zealand, and is passionate about dentistry, but also has a keen interest in watching and playing sports, listening to music, playing guitar and spending quality time with family and friends. When asked why he became a joined the dental industry, he says: “The joy of enhancing a person’s life by creating a healthy, beautiful smile is one of the intangible rewards of being an oral health therapist. Kiran likes to get to know his patients and understand their circumstances. He believes that you can be a better practitioner once you can see the issue from the patient’s point of view because you are in a better position to help them achieve their desirable outcome. Favourite food? Anything spicy, Indian street food. Most enjoyable past-time? Gym, playing cricket/tennis/football. BEST DENTAL TIP: Spit but don’t rinse with water after brushing. LET KIRAN LOOK AFTER YOU.